Rubber Lining and Molding is a specialized manufacturing process that NOT many specialized manufactures can produce. 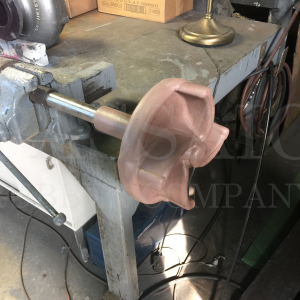 At Passaic Rubber Company, we have the skills and tools necessary to rubber line and mold various elastomers to metal tanks, pumps, barrels, and impellers. This process, of adhering rubber to metal, allows for longer lasting superior outperforming parts.